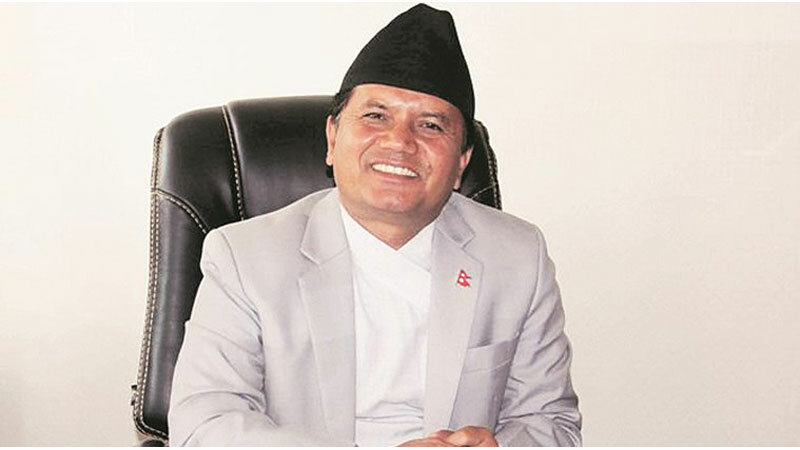 Nepal’s Tourism Minister Rabindra Adhikari and owner of the country’s biggest private airlines, Ang Chhiring Sherpa, were among seven people who died after a helicopter crashed in a mountainous region in eastern Nepal. The Air Dynasty helicopter that Sherpa partly owned hit a hill as it was struggling to find its way back to Kathmandu in cloudy weather. Besides Adhikari (49) and Sherpa, Yuvraj Dahal, an aide to Prime Minister K P Oli, senior Civil Aviation Authority officials Birendra Shrestha and Dhruba Bhochhibhoya, the pilot Pravakar K C, and a member of Adhikari’s security staff Arjun Ghimire also died in the crash. The group had left Kathmandu in the morning to visit the site of a proposed domestic airport in eastern Nepal’s Terathum district, and from there they proceeded to the famous Pathivara shrine in the adjoining Taplejung district at an altitude of nearly 3,900 metres. They then boarded the helicopter, but about ten minutes later, it collided with a nearby hill, leaving no survivors.